David LaChapelle, vi piace? Bella galleria e interessante intervista. David LaChapelle nasce a Fairfield (Connecticut, USA) il giorno 11 marzo 1963. Fotografo e regista è attivo nei campi della moda, della pubblicità e della fotografia d’arte. Deve la sua fortuna al suo personalissimo stile surreale, spesso umoristico e sarcastico, tanto che viene riconosciuto come uno dei fotografi più geniali di sempre, talvolta con l’appellativo di “Fellini della fotografia”. Dichiaratamente omosessuale, note sono anche le sue foto di nudo maschile, fra le più apprezzate in questa categoria. Il percorso di studi artistici di LaChapelle passa dapprima attraverso la “North Carolina School of the Arts” e successivamente da New York. Nella grande mela frequenta contemporaneamente la “Art Students League” e la “School of Visual Arts”. Non ha ancora terminato gli studi quando Andy Warhol gli commissiona un servizio per la rivista “Interview magazine”, di fatto è il primo incarico professionale per LaChapelle. Terminati gli studi si arruola nei marines; poi si trasferisce a Londra: dopo un matrimonio presto fallito torna a New York. 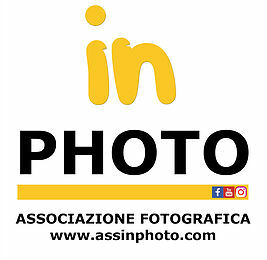 Lavora per copertine e servizi fotografici di per le testate internazionali di maggior prestigio fra cui Vanity Fair, Flaunt, i-D, The Face, Arena e Rolling Stone e non passa molto tempo che viene annoverato tra i più grandi fotografi del secolo. Il primo libro fotografico “LaChapelle Land” (1996) permette a David di far conoscere il suo stile a un ampio pubblico: le sue fotografie dai colori molto accesi appaiono a volte oniriche, a volte bizzarre. Il successivo volume “Hotel LaChapelle” (1998) sarà uno dei libri fotografici più venduti di tutti i tempi: contiene diversi scatti raffiguranti visi celebri. Nel 2006 pubblica le raccolte “Artists and Prostitutes” (in tiratura limitata, venduto a 1500 dollari il pezzo, con l’autografo dell’artista) e “Heaven to Hell”. Il fotografo ha poi esteso la sua attività alla regia, prima di videoclip musicali, poi anche a eventi teatrali e documentari. David LaChapelle’s photography career began in the 1980’s in New York City galleries. After attending the North Carolina School of Arts, he moved to New York where he enrolled at both the Art Students League and the School of Visual Arts. With shows at 303 Gallery, Trabia McAffee and others, his work caught the eye of his hero Andy Warhol and the editors of Interview Magazine, who offered him his first professional photography job. Working at Interview Magazine, LaChapelle quickly began photographing some of the most famous faces of the times. Before long, he was shooting for the top editorial publications of the world, and creating the most memorable advertising campaigns of a generation. His striking images have appeared on and in between the covers of magazines such as Italian Vogue, French Vogue, Vanity Fair, GQ, Rolling Stone and i-D. In his twenty-year career in publishing, he has photographed personalities as diverse as Tupac Shakur, Madonna, Amanda Lepore, Eminem, Philip Johnson, Lance Armstrong, Pamela Anderson, Lil’ Kim, Uma Thurman, Elizabeth Taylor, David Beckham, Paris Hilton, Jeff Koons, Leonardo DiCaprio, Hillary Clinton, Muhammad Ali, and Britney Spears, to name just a small selection. After establishing himself as a fixture amongst contemporary photography, LaChapelle expanded his work to include direction of music videos, live theatrical events, and documentary film. His directing credits include music videos for artists such as Christina Aguilera, Moby, Jennifer Lopez, Britney Spears, The Vines and No Doubt. His stage work includes Elton John’s The Red Piano, the Caesar’s Palace spectacular he designed and directed in 2004, which just recently ended its five year run in Las Vegas. His burgeoning interest in film led him to make the short documentary Krumped, an award-winner at Sundance from which he developed RIZE, the feature film acquired for worldwide distribution by Lions Gate Films. The film was released in the US and internationally in the Summer of 2005 to huge critical acclaim, and was chosen to open the 2005 Tribeca Film Festival in New York City. Recent years have brought LaChapelle back to where he started, with some of the world’s most prestigious galleries and museums exhibiting his works. Galleries such as the Tony Shafrazi Gallery in New York, Jablonka Galerie in Berlin, the Robilant + Voena Gallery in London; and Maruani & Noirhomme in Belgium have housed his works as well as Institutions such as the Palazzo delle Esposizioni and Palazzo Reale in Italy; the Barbican in London, and The Helmut Newton Foundation in Berlin. In 2009, exhibitions in Mexico City at the Museo del Antiguo Colegio de San Ildefonso, in Paris at the Musee de La Monnaie, and in Guadalajara at the Museo de Las Artes all broke attendance records. These shows presented his latest series of works with which LaChapelle has broken out of the frame, presenting three-dimensional sculptural murals. ” I am presenting a selection of works that best portray the consistent themes I have been exploring throughout my career – from some of my earliest works that were shown during the 1980’s in New York galleries, on through the 15 years I spent while working for magazines. This time my objective was to document America’s obsessions and compulsions using publications as a means to reach the broadest possible audience. I was employing “pop” in the broadest sense of the word. I was photographing the most popular people in the world to the marginalized always attempting to communicate to the public in an explicit and understandable way. The images were always meant to attract, not alienate. Inclusion has always been the goal when making these pictures, and continues on in the newest works that will be exhibited. The difference between the works I did as a photographer for hire and the most recent is that I’m freed from the constraints of magazines. The work has not only been liberated from the limitations of glossy pages, but has also emerged from the white frame, engaging the viewer with the exploration of three-dimensional tableaux. I feel that we are living in a very precarious time, with environmental devastation, economic instability, religious wars waged, and excessive consumption amidst extreme poverty. I have always used photography as a means to try to understand the world and the paradox that is my life. There is the feeling that we are living at a precipice. My hope is that through the narratives told in my images, I will engage people and connect with them addressing the same ideas or questions that possibly challenge them.